…the elections were declared inconclusive for a number of reasons. These include the discontinuation of the use of smart card readers midway into the elections or the failure to deploy them, over-voting and widespread disruption in many polling units. The reasons are therefore clearly related to electoral fraud and it is curious that correcting such activities to protect the integrity of the elections is being castigated. This narrative has existed long before the elections. In virtually daily news conferences and releases, the Peoples Democratic Party (PDP) and its allies have consistently inundated the broadcast, print and social media with complaints of an alleged grand scheme to rig the elections. It is therefore not surprising that so many people today believe that the programmed design to rig the elections has been executed. I have been startled by many friends calling me and demanding that I confirm that the 2019 elections are the worse in Nigerian history; and I have consistently replied – certainly not. Then I get this strange response: “But everyone says they are the worst”, the assumption being that there is something wrong with my limited understanding of Nigerian elections. In my world of social science, the fact that everyone asserts something does not make it true. As an observer of the elections, I did not see any evidence showing that there was a significant level of rigging and neither national nor international observers have reported such phenomena. Yes, there were lots of problems with the conduct of the elections: violence, logistics and YES, some rigging but we should assess things for what they are not what we suppose they should be. I am open to being shown evidence of massive electoral fraud being spoken about but so far, statements have remained at the level of assertions. In cases where supplementary elections have to be organised because the difference between the two leading candidates could swing after the additional elections, it is simple justice that the supplementary elections are conducted and the definitive winner known before the announcement of results. Also, on Wednesday, the House of Representatives resolved to probe the “unwarranted, escalating trend of inconclusive elections in Nigeria, which has cast doubt on the neutrality of the Independent National Electoral Commission (INEC) as an umpire in Nigeria’s elections.” The resolution followed a motion of urgent national importance on “the malady of inconclusive elections in Nigeria” by Sunday Karimi (PDP, Kogi), and seconded by Nnenna Ukeje (PDP, Abia). He asserted confidently that the frequent declaration of inconclusive elections by INEC, which was not envisaged in either the 1999 Constitution or the Electoral Act, has become a demon haunting the country’s electoral system. He lamented that the governorship elections in Adamawa, Bauchi, Benue, Kano, Plateau and Sokoto states were declared inconclusive, despite leading candidates having met the provisions of Section 179(2) of the Constitution. That is the section that defines how a winner, who has a clear majority, emerges in an election. The irony is that elections are declared inconclusive precisely in cases where the candidate with the majority has not been clearly identified. 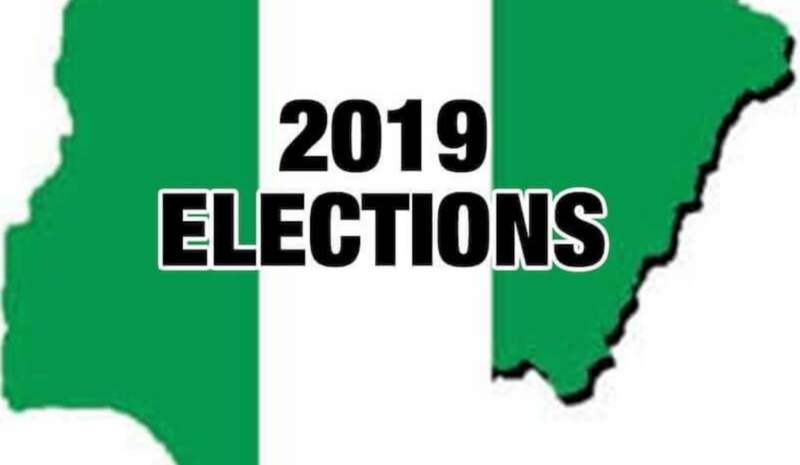 In the current elections, in 22 States, winners of governorship elections have been announced. However, in the six states of Kano, Bauchi, Benue, Plateau, Adamawa and Sokoto, the elections were declared inconclusive for a number of reasons. These include the discontinuation of the use of smart card readers midway into the elections or the failure to deploy them, over-voting and widespread disruption in many polling units. The reasons are therefore clearly related to electoral fraud and it is curious that correcting such activities to protect the integrity of the elections is being castigated. INEC uses the margin of lead principle to determine whether the clear majority has emerged. In cases where supplementary elections have to be organised because the difference between the two leading candidates could swing after the additional elections, it is simple justice that the supplementary elections are conducted and the definitive winner known before the announcement of results. The approach of INEC since 2011 is not to rush to announce results when there are suspicions of fraud and to organise supplementary elections to protect the integrity of the outcome. This trend should be understood for what it is – improving the integrity of elections – and supported. In the 2003 and 2007 elections, there were no inconclusive elections because numbers were simply allocated to ruling party candidates and the vote of citizens did not count. The phenomenon of inconclusive elections started in 2011 when the integrity of elections started to improve. Remember in 2011, for example, the result of the Anambra senatorial election in which Dora Akunyuli of the All Progressives Grand Alliance (APGA) had 66,273 and Chris Ngige of Action Congress of Nigeria (ACN) had 65,579, with the margin being 679, while there were 7,930 cancelled votes, was declared inconclusive on the basis of Section 53 of 2010 Electoral Act as amended, which deals with overvoting and section 26 which deals with postponement due to the threat of violence and other emergencies. It is dangerous anti-democratic propaganda to turn the tables and present the practice as fraud. It is also illogical to complain about which parties are affected; it is not a question of which party is affected but of what the numbers are, when additional elections have to be conducted, and the returning officers have done their maths on the basis of the margin of lead principle. The number of inconclusive elections has grown because opposition parties have grown stronger and become more competitive. In addition, the introduction of technology, especially the use of the smart card reader has been a real check on the old practice of the illegal allocation of votes, reducing the number of landslide results. One of the interesting things about the governorship elections is that the pattern of voting changed in certain states in relation to the presidential vote, due to local political dynamics. When local dynamics are reflected in results, it’s a clear message that the votes of ordinary people are counting and both the Peoples Democratic Party and the All Progressives Congress have good and bad stories to tell on the matter. It is widely known that those who seek to rig elections act on the principle of getting fraudulent results announced through any means and forcing the opponent to go and prove fraud in court, which we all know is very difficult. The approach of INEC since 2011 is not to rush to announce results when there are suspicions of fraud and to organise supplementary elections to protect the integrity of the outcome. This trend should be understood for what it is – improving the integrity of elections – and supported.